The Limarí Valley is one of Chile’s lesser-known regions. Situated 200 miles north of the country’s capital, Santiago, it is one of the northernmost winegrowing regions in the whole of Chile. At a latitude of 30° south, in close proximity to the Atacama Desert and with mountain ranges rising to over 1000m of altitude, this is a region on the very edge of the winemaking world – it is also home to the iconic Viña Tabalí. We caught up with CEO and Chief Winemaker Felipe Müller to find out more about him and the Tabalí story. What is your very first memory of wine? FM: Wine has always been very important for my family: I don’t remember a family meeting without a bottle of wine on the table! From a very young age, I remember my dad letting me ‘touch’ the wine to my lips. What he didn’t know was that I probably ended up having quite a bit of wine! So, how did you go from that experience to becoming a winemaker? FM: Chile is a country with lots of nature, and here you don’t study winemaking directly. I first studied to become an agronomist because my family had a big plot of land and I have always wanted to help and had an incredible interest in geology, weather patterns, soil science etc. Eventually, my interest in wine grew and I decided to focus my studies on Oenology and Viticulture. Luckily, I was honoured for having the best score in my Oenology exams and received a special mention for my thesis – the second best of my generation, apparently! What about Tabalí? Can you sum up what makes it special? FM: For years now Viña Tabalí has been a pioneer and the most iconic winery in the Limarí Valley. 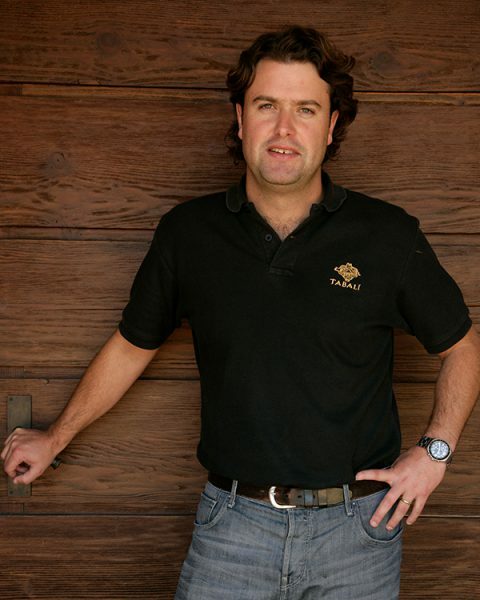 We were founded back in 2002 by Guillermo Luksic who was the first businessman to build a modern winery in the valley. In fact, he actually bought the first vineyard in 1993 and launched the Tabalí brand nine years later. Since then our wines have gained recognition across Chile and the world. We’ve invested in new vineyards stretching across the valley with objective of seeking new terroirs – our aim is to produce singular wines from singular vineyards and for those wines to express the terroir of those sites. You seem to have opted for vineyards ‘on the edge of the world’ – what are the benefits and challenges of producing wine in these hard to manage areas? FM: Take our Talinay vineyard: there’s nothing like it in the whole of Chile, so everything I had learnt at university went out the window! So, the last 10-12 years have been a lot of experimenting, with many challenged, but there have been lots of incredible moments too. For example, when the first Chardonnay and Pinot Noir from Talinay being named the best in Chile – that was one of the very heart-warming moments. What can you tell us about the Pedregoso range? FM: Pedregoso is a Spanish word that means ‘stony soil’. The grapes for these wines all come from vineyards with different types of this soil. Stony soils are well renowned in viticulture as the low yields and lack of fertility are commonly associated with great quality wines. It’s now almost five years since you won young Chilean winemaker of the year. How has this award affected your career and winemaking since then? FM: I’m always proud to win awards but at the end of the day, my goals haven’t changed. At the time I was nicknamed ‘the interpreter’ and today that is still my aim: to take the person having a glass of my wine, to the soil and climate of Tabalí’s vineyards. Finally, who/what inspires you, both in and out of wine? FM: Hmmm, I’m not sure. I have different inspirations and motivations all the time depending on where I am, what I’m doing, who I’m with etc. I am always striving to be a kinder person and a better winemaker. I’m fortunate that I’ve been able to work with some of the most fantastic people.